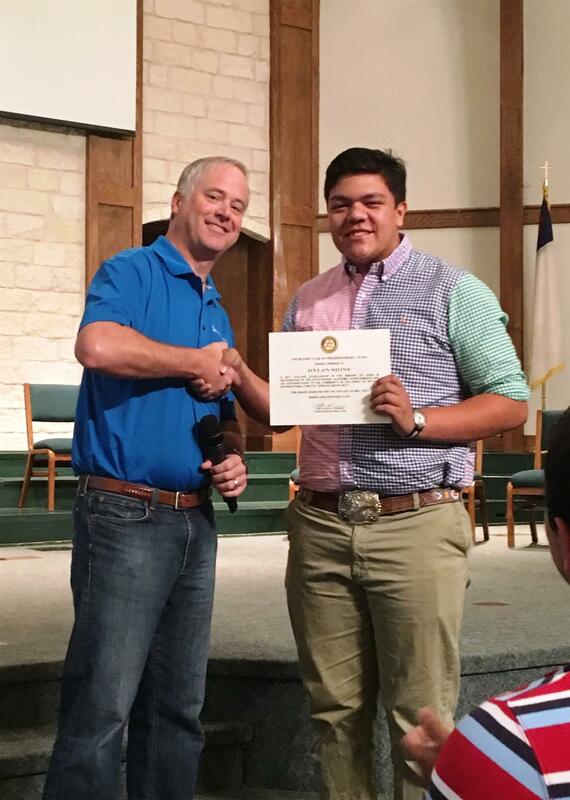 Our Rotary Club has many fundraisers during the year, with the goal of providing scholarships to graduates of high schools in Gillespie County as they continue their studies. This year we provided $18,000.00 in scholarships to 14 students. Each student will get a $1,500.00 scholarship for college tuition and expenses. The students graduated from Fredericksburg High School, Harper High School, Heritage High School, Our Lady of the Hills Catholic High School, Ambleside High School, and home schooled. The students will be attending Texas A&M, University of Texas at Austin, TCU, Baylor, Schreiner University, Oklahoma Christian University, University of Dallas and Benedictine College. The students will be majoring in areas such as Business, Biochemistry, Communications, Accounting, Early Childhood Education, Psychology, Biology, Agricultural Economics, Pre-Med, and Veterinary Medicine. Our Rotary Club knows the importance of education, and we are happy to be able to provide these scholarships.